We manage your legal work so you can manage your business. Don't waste your executives' time overseeing your legal affairs. YLM can manage them for you. Are Your Company's Domestic and International Legal Affairs Being Effectively Managed? The lawyers or law firms that are best suited to handle the company’s legal work. Even if you have determined your company's need for legal representation and the priority of your company's legal projects, if your executives have to manage the company’s legal work without the support of an in-house counsel, the process and results are unnecessarily costly in terms of both legal fees and executive inefficiency. YLM's mission is to convert the unmanaged legal work of its clients that do not have an in-house legal staff into a well-managed, controlled and budgeted part of the company's business without adding materially to, and even reducing, their legal expenses. 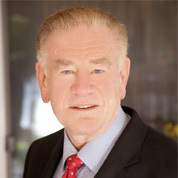 After practicing corporate, transactional, and international law for 30 years, including advising global companies, in New York, Los Angeles and Denver, John A. St. Clair founded Your Legal Manager, to provide “in-house” general counsel services to companies that do not have a general counsel. Working alongside the company's executives, Your Legal Manager’s services are designed to add value to its clients, not to add fees on top of the company’s outside attorneys’ fees. Your Legal Manager provides strategic and operational benefits to its clients.